NO PAYMENT REQUIRED UNTIL YOU APPROVE THE ARTWORK! 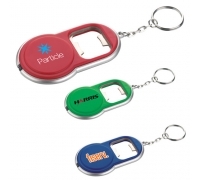 Samples are sent to customers who want to order promotional items. 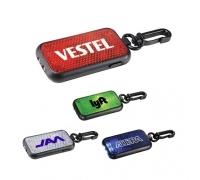 Samples we send include a random imprint of another text / logo or design for evaluation purposes. Samples do not include a custom imprint. 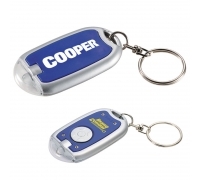 We send a free proof to show you what your order will look like with your imprint in PDF format. 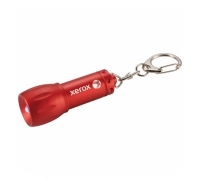 Please note that promotional items have a product minimum when customizing. 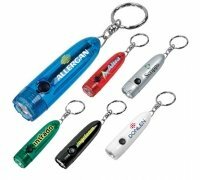 Custom Slim Rectangular Flashlights with 7 Translucent Colors are offered in rainbow of colors and make a good business or personal gift in all circumstances. The rectangular shaped body offers good advertising potential and marketers can utilize it for their benefits. 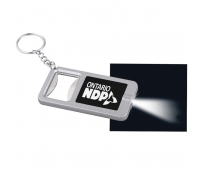 This custom slim rectangular flashlights never goes out of fashion because people love them incessantly. Advertisers can always give it away during trade fairs, or other shows. Imprint Area:1 1/2" x 1/2", 1" x 1/2"
Product Size : 2 3/8 " x 1 " x 1/4 "
Imprint Area : 1 1/2" x 1/2", 1" x 1/2"
Delivery time is based on the shipping method selected. 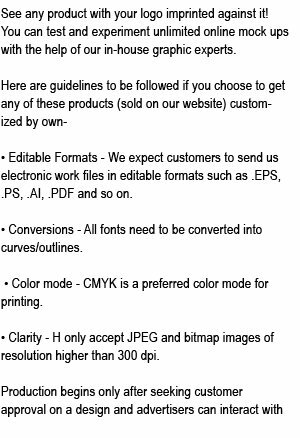 Product & Design Quality -Excellent product, printing, everything (except that two do not work) is excellent. We are looking forward to handing these out. I am not deeply concerned about the two defective ones. Next time I order a batch perhaps you could throw in two replacements???? Customer Service & Shipping -I love the way this company kept me in the loop. I always knew what was going on, when to expect delivery, etc. Product & Design Quality -just exactly what we needed. good quality. Customer Service & Shipping -customer service was great, positive communication and they arrived before the due date. Product & Design Quality -The design was exactly as I ordered. The pre-approval process made sure there were no unwelcome surprises. The quality of the product is just what I need - a working product - basic but not a toy. I had to place an extra order because we gave some away to folks who needed a bit of light during a weather related power outage. Customer Service & Shipping -I experienced exceptional customer service, particularly when I had to place the extra order. Not enough room to go into details, but service rep made the reorder less than painless. 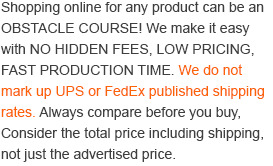 The ability to track shipment of the order is very valuable. Product & Design Quality -exactly what we wanted. Customer Service & Shipping -arrived quickly. Product & Design Quality -Item was of very good quality, and print clarity was excellent! Customer Service & Shipping -Customer service reps answered our questions very quickly and very very friendly! Do you retain my artwork? Yes, we do retain it. The artwork will be reused when you decide to re-order. What are the types of payments that you accept? We accept payments through Credit Cards/Debit Card and PayPal. Hi, Just received my order of flashlights, which I have placed 3 days ago. They have turned out well and also carry good print. Thanks for all your indulgence from order to shipping process and beyond. When the door bell chimed, I couldn’t believe my eyes, a huge box of promotional flashlight was forwarded to me by a smiling delivery man. I have not expected that it will be delivered within 3 days. Also, many of my friends whom I handed over imprinted flashlight during Christmas party called me up to say that quality is good and business messages are imprinted in attractive way. Thanks guys for all your support and good work.